When fifteen-year-old Maribel Rivera sustains a terrible injury, the Riveras leave behind a comfortable life in Mexico and risk everything to come to the United States so that Maribel can have the care she needs. Once they arrive, it’s not long before Maribel attracts the attention of Mayor Toro, the son of one of their new neighbors, who sees a kindred spirit in this beautiful, damaged outsider. Their love story sets in motion events that will have profound repercussions for everyone involved. Here Henríquez seamlessly interweaves the story of these star-crossed lovers, and of the Rivera and Toro families, with the testimonials of men and women who have come to the United States from all over Latin America. 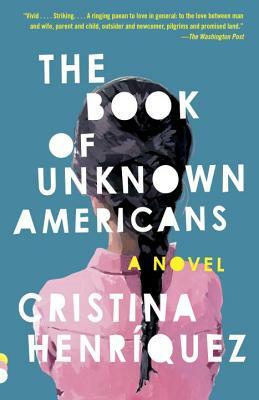 The Book of Unknown Americans is a stunning novel of hopes and dreams, guilt and love—a book that offers a resonant new definition of what it means to be American. Cristina Henríquez is the author of the story collection Come Together, Fall Apart, which was a New York Times Editors’ Choice selection, and the novel The World in Half. Her work has appeared in The New Yorker, The Atlantic, The American Scholar, Glimmer Train, Virginia Quarterly Review, Ploughshares, TriQuarterly, AGNI, and Oxford American, as well as in various anthologies. She lives in Illinois.